I am holding one of my rare workshops at University of California, San Diego on Oct. 5 that will focus on how to find and pay for colleges. This will probably be the last workshop that I do at UCSD because I truly hate doing the marketing for it. On Wednesday U.S. News & World Report released its 2014 college rankings. The rankings are like catnip to colleges and some parents, which is why millions of people flock to the defunct magazine’s website at this time of year. There never is any suspense about which schools will emerge triumphant. It’s the same old, same old schools. This year Princeton was No. 1. Last year Harvard and Princeton shared the title and sometime Harvard sits on top of the heap by itself. 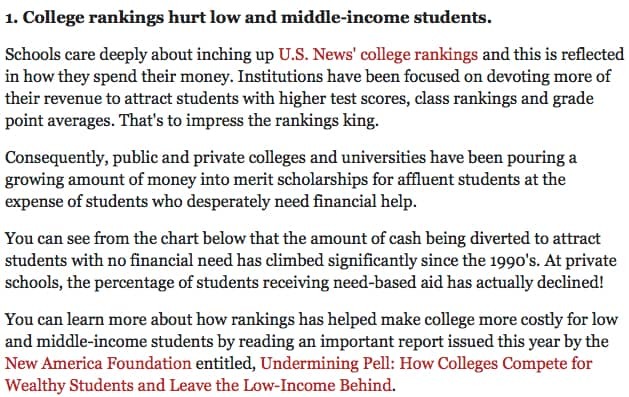 I wish that the college rankings were an amusing, meaningless diversion, but they aren’t. Whether you care about the rankings or not – and most families never even look at them – they are helping to boost the cost of college for millions of families across the country. On that score it was a big day for San Diego State University, which is just five miles from my house. San Diego State was crowing over the fact that it had leaped 31 spots to become the 152nd best “national university.” It enjoyed a larger gain than any other school in this category. I’m wondering if that higher number is any consolation to the students at San Diego State who can’t graduate in four years. Some of my daughter’s bright high school friends still haven’t managed to graduate from San Diego State 6 1/2 years after they left high school. As you can see below, just 30.4% of San Diego State’s students graduate in what used to be the traditional eight semester. What’s depressing is that San Diego Stat’s grad rate is actually much better than most Cal State campuses including a school in another fun place to live: San Francisco State’s grad rates is a scandalous 14.2%. I also should note that like many California State University campuses, all academic majors at San Diego State are impacted. That means there are too many students for the number of slots available for each and every academic major. There is no guarantee, for instance, that a teenager who wants to major in kineseology or psychology or business will be able to do so. That’s the reality of public education out here in the Golden State. But hey, let’s all celebrate San Diego State’s great rankings coup! If you have an opinion about the rankings, I’d love to hear it. Please just use the comment box below. In evaluating the options for prospective students, one needs to look more at placement rates, and not at graduation rates. For example, Northeastern(private) openly suggests all its students take off a year to take internships and other jobs offered by participating companies in the Boston area. Although this doesn’t help the rankings, it feels what is more important are the jobs for graduates. I wonder, to Janice’s point, if some of the atrocious graduation numbers are due NOT to expectations on the part of the University, but on the part of the parents (or whoever is paying). 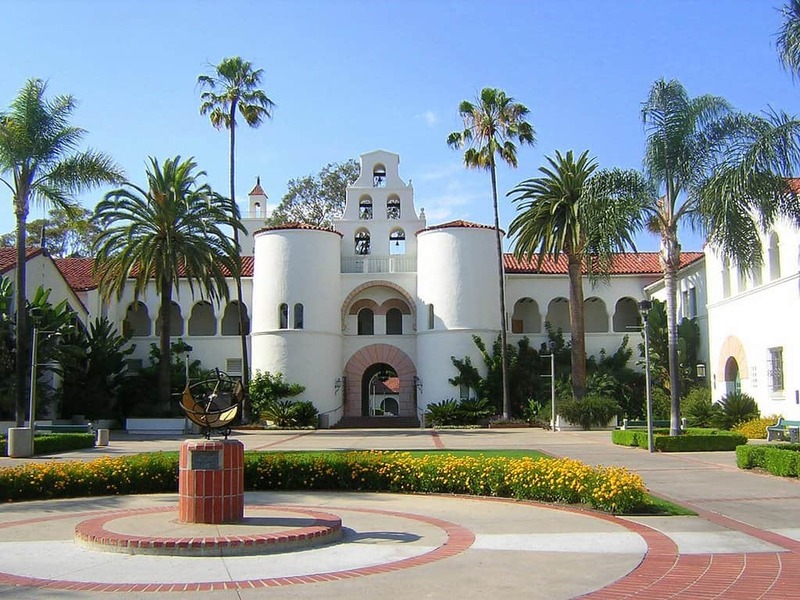 When I toured SDSU, the tour guide mentioned that while she had taken summer school (due to changing her major several times), she was graduating in four years. She said that the majority of the students she knew who were taking longer did so because they did not want to attend classes at 8:00 a.m. any day or after noon on Fridays… Granted, this is anecdotal, but it seems that based on other comments, a 4-year graduation is achievable if a student is realistic about what they need to do to be out in four years. The elephant in the room in this discussion is the number of students who shouldn’t be in college in the first place. 30 years ago many of those students would be in vo-tec schools. Our educational system is setting many up for future problems in life by guiding them toward college where they take on debt, and take longer to graduate, if at all. At the same time this extra student load means colleges have to create greater capacity, which increases cost for everyone. Many of these students go to public U’s where they then skew the statistics on graduation rate or even worse, become preyed upon by diploma mills that charge outlandish rates for very little education. So many of our educational issues in this country could be alleviated by being honest with students in high school and guiding them toward vo-tec rather than college. Our middle son just graduated in 4 years in Finance, which took me, a graduate in 1982, 5 1/2 years. same major. Go Aztecs! Honestly, the declining number of students graduating in 4 years really underscores that universities are happy to have students there longer…after all, they keep collecting the tuition money… Even when taking into account the ever-more-popular semester-abroad, the scores in the rate for graduating in 6 years is atrocious! Thirty years ago, the ONLY students taking longer than 4 years were largely those who came in undecided, and even still that number was comparatively low. The wrong expectation (or no expectation) is being set by the university, and the result is higher college debt upon graduation! should have added, the students above included a Psychology and a Kinesiology Major. I know a myriad of students that have graduated from San Diego State University in 4 years. One of my daughters took 4.5years because she did a semester over seas and changed her major….then changed it back. Even then she could have graduated in 4 years but chose to take 2 light semesters as she was working almost full time and planning a wedding as well. Other daughter took one additional year which in no way or shape had anything to do with SDSU but rather her own relaxed timetable. Also chose to take a few light loaded semesters as she was either Rowing or working almost full time as well. My son inlaw completed 2 years at community college, 2 years at San Diego State, and done! 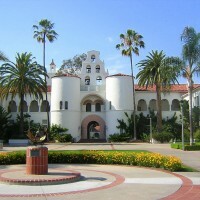 Many of the students I have worked with at my high school have completed sdsu in 4 years, it can most decidedly be done. Love your website and your blog.